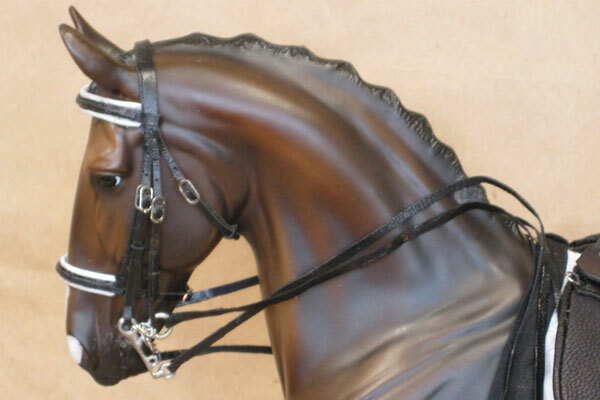 Choose your bridle type and place your order from the sections below. 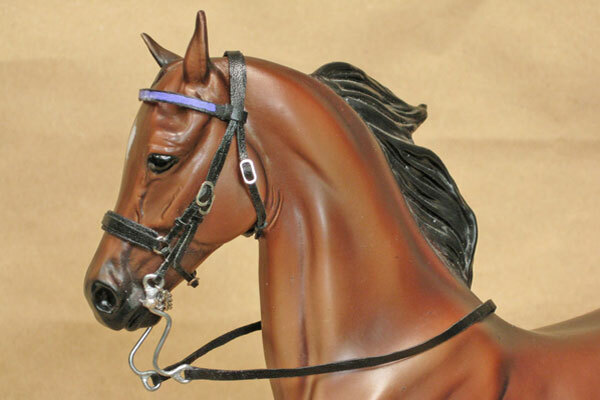 Bridle fitting for model horses can be tricky because of the fixed postions of plastic manes, forelocks and ears. 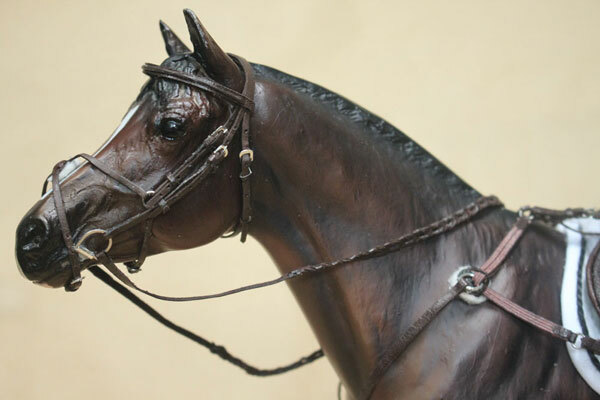 I suggest ordering a different bridle for each mold/model horse so that the buckles will line up for the best, most realistic fit. 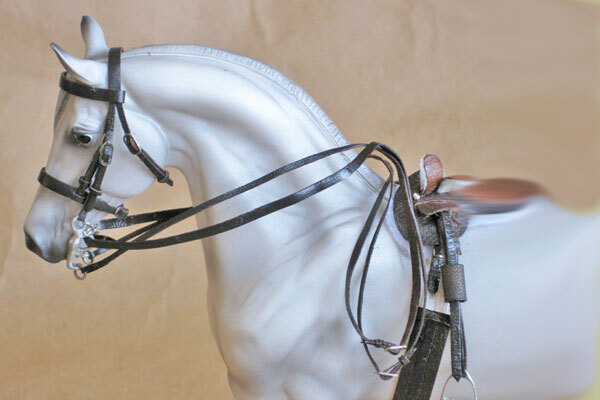 Use for any bridle on this page! 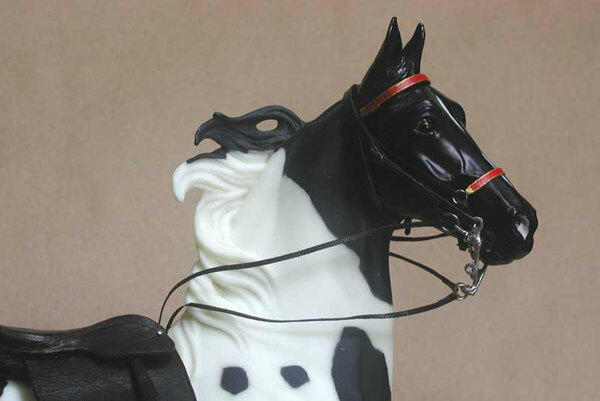 Bit guards are round discs that are used to protect the horse's mouth from being pinched by the bit, and also keep the bit from being pulled through the mouth. 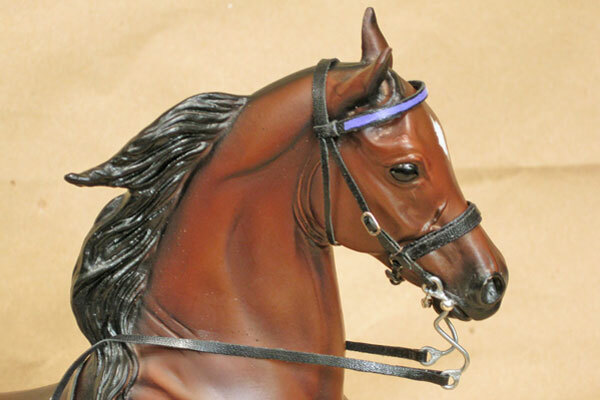 Ordering hints: *Laced reins are usually only added to snaffle reins. Curb reins are typically narrower and flat. 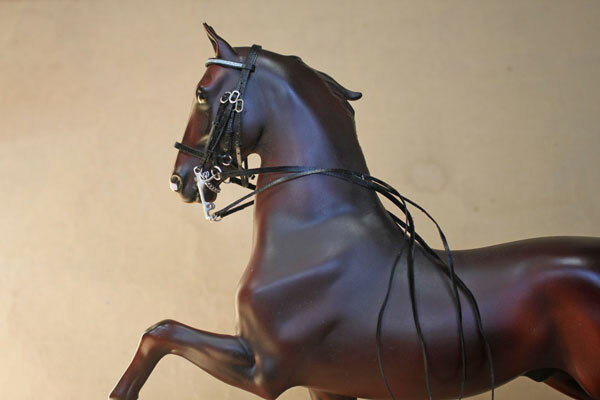 It is acceptable to have laced snaffle reins on a double bridle with a flat curb rein. 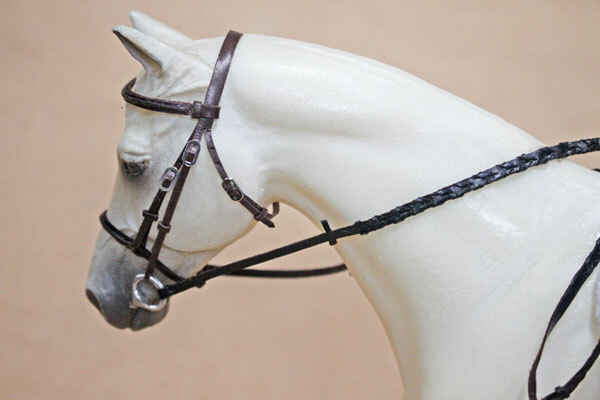 ** Old style hunter bridles were usually made with a wider, flat noseband and brow. 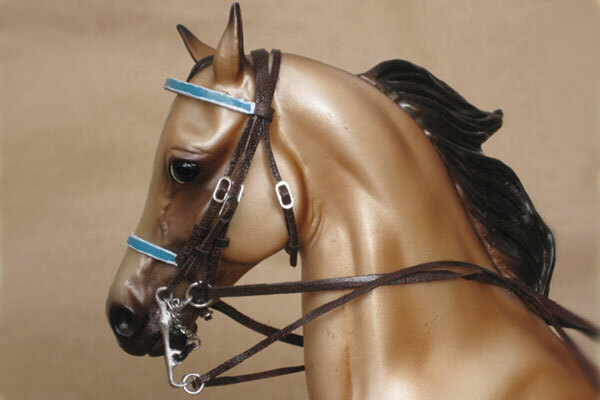 Typically, pelham bridles are made like the older style field hunter bridles. 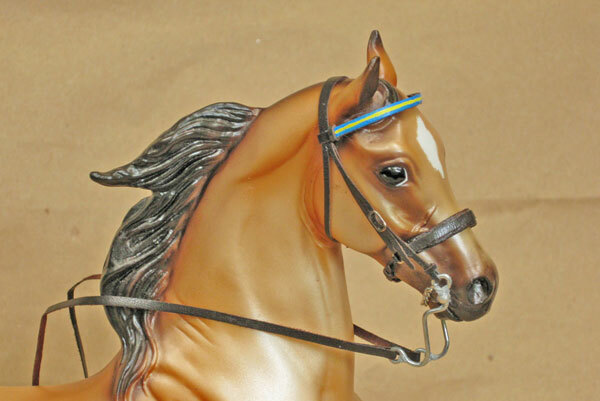 Modern hunter bridles usually have a raised, fancy noseband and brow band are narrower. 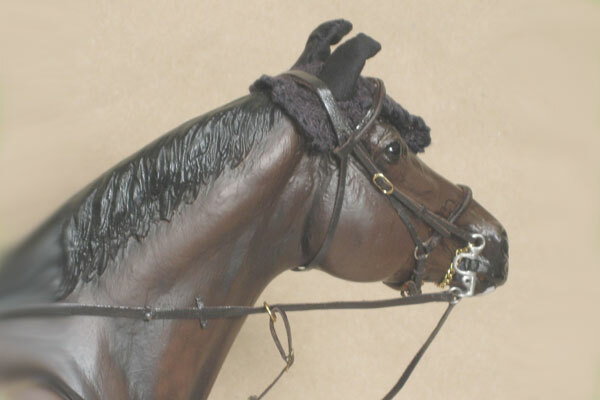 If ordering a flat noseband and cavesson, I will automatically make it the wider kind unless otherwise instructed. 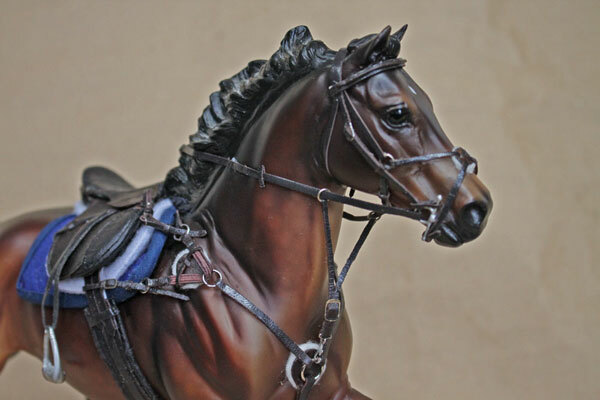 Ordering hint: ***There is a difference between a weymouth curb bit used for dressage and a weymouth curb bit used for saddle seat. 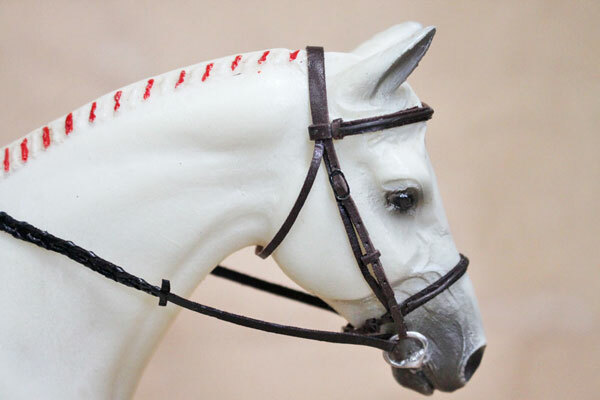 A dressage curb bit will have a shorter shank as the USDF limits the length one is able to use in a show. 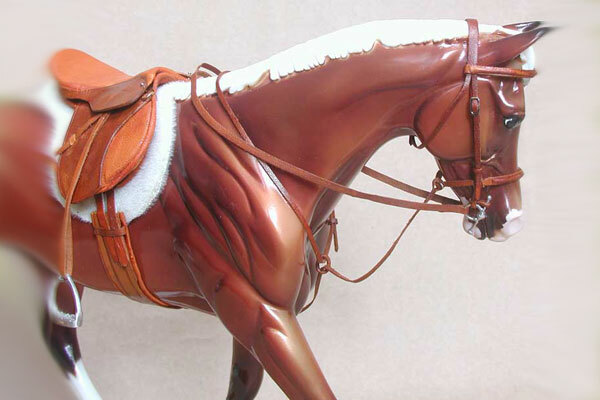 A curb bit used for saddle seat will typically have a much longe shank. 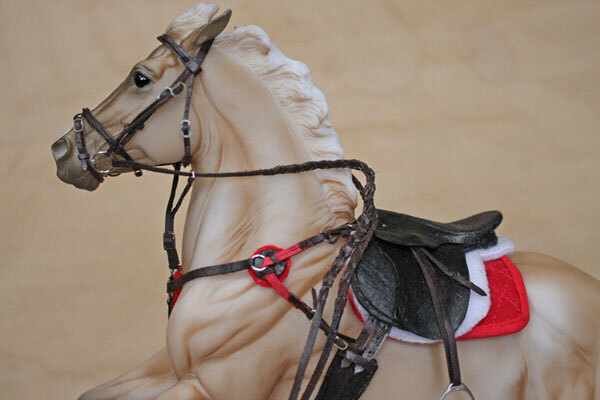 Also, the snaffle bit, called a "bradoon" typically has a smaller ring than a regular round ring snaffle, so as to cause less chance of interference with the shank of the curb bit. 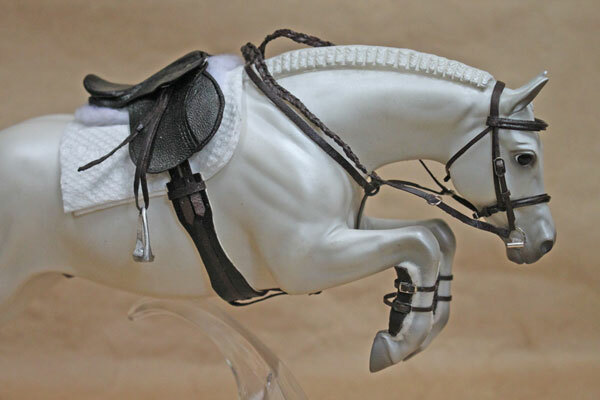 Dressage bradoon snaffles often have a larger ring than the tiny bradoon used for saddle seat. 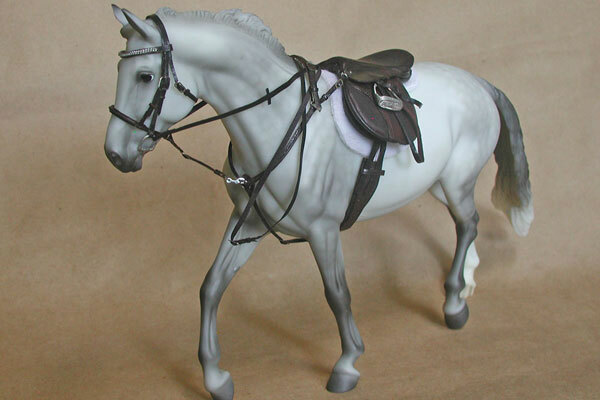 Comes without a lip strap, and has a wider flat snaffle rein and narrow curb rein. 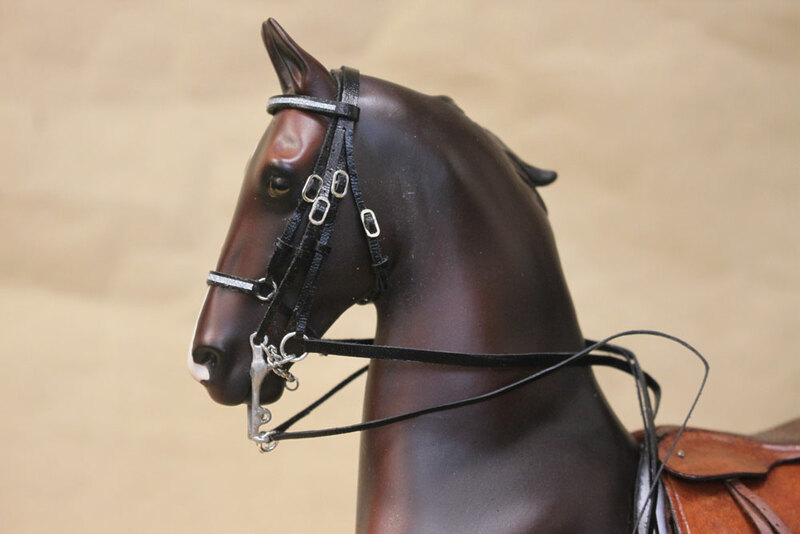 See options for double bridles below! 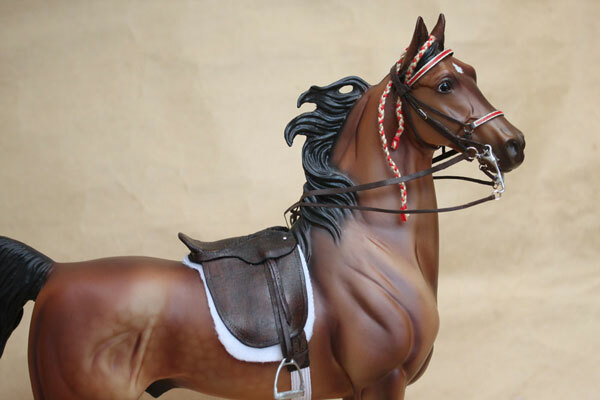 Ordering hint ***There is a difference between a weymouth curb bit used for dressage and a weymouth curb bit used for saddle seat. 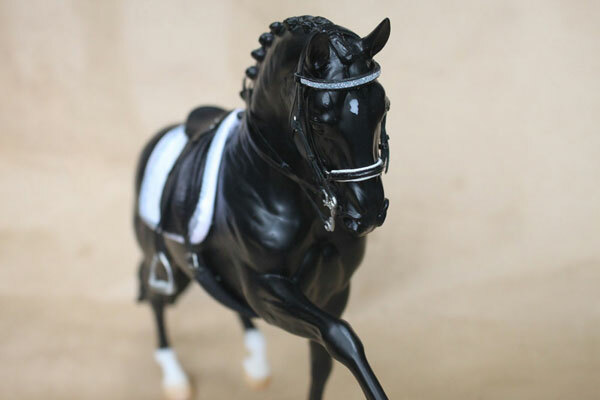 A dressage curb bit will have a shorter shank as the USDF limits the length one is able to use in a show. 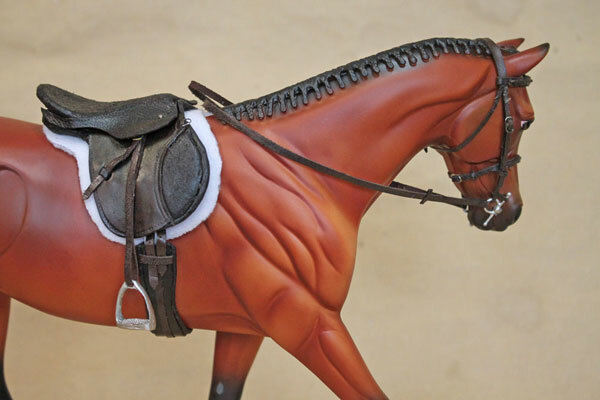 A curb bit used for saddle seat will typically have a much longe shank. 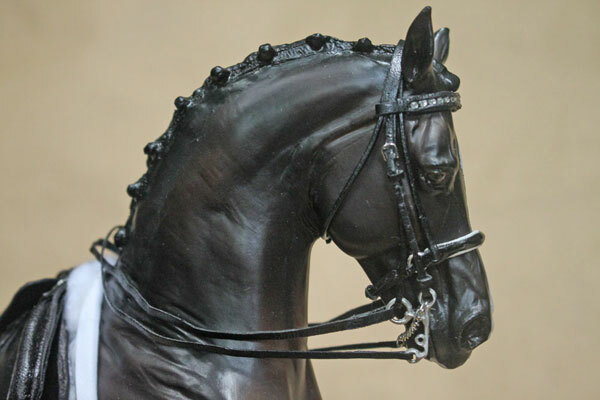 Also, the snaffle bit, called a "bradoon" typically has a smaller ring than a regular round ring snaffle, so as to cause less chance of interference with the shank of the curb bit. 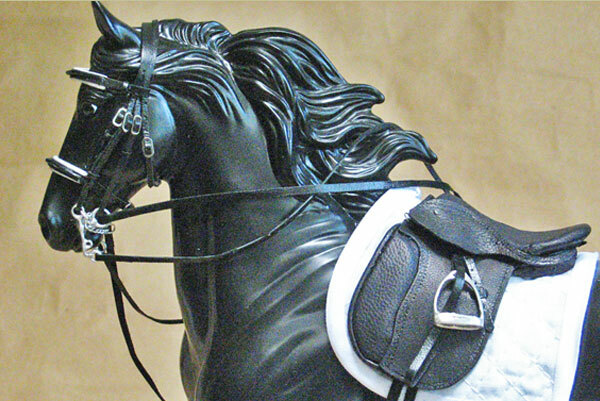 Dressage bradoon snaffles often have a larger ring than the tiny bradoon used for saddle seat. 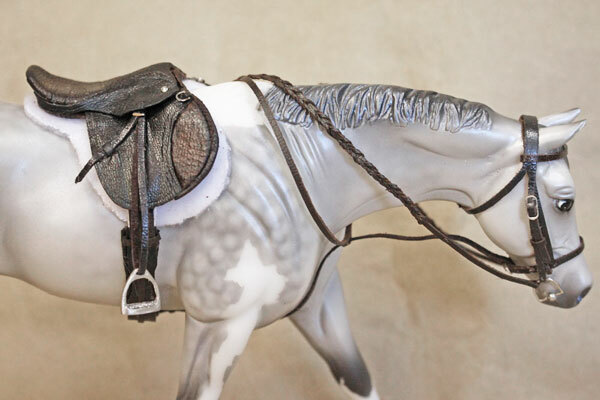 Comes without a lip strap, and has a wider flat snaffle rein and narrow curb rein. 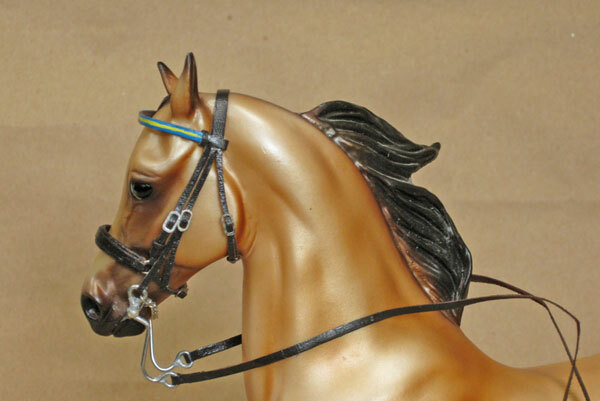 Add a "bling" brow to any bridle. 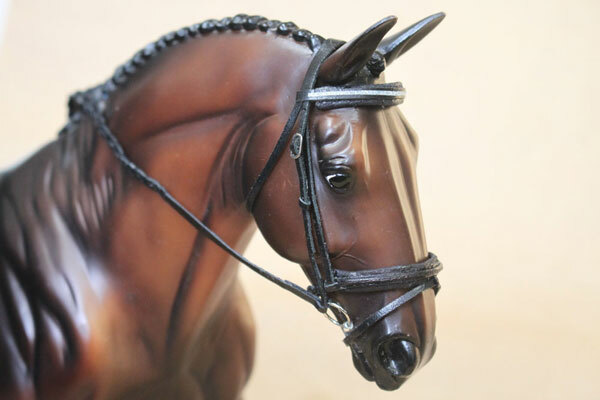 Add laced snaffle reins and lip strap to double bridles. 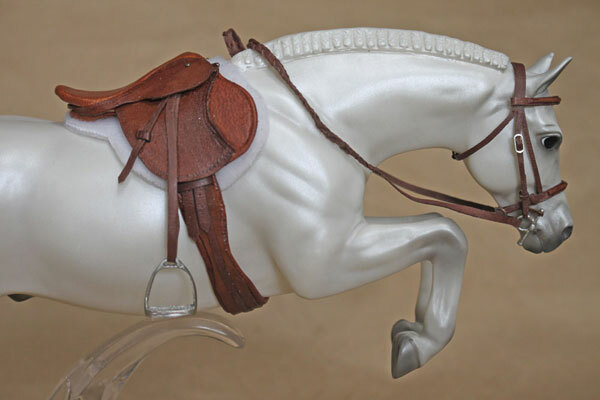 **All buckles are slip style unless Tongue buckles are specifically ordered. All hardware will be silver in color unless otherwise specified. 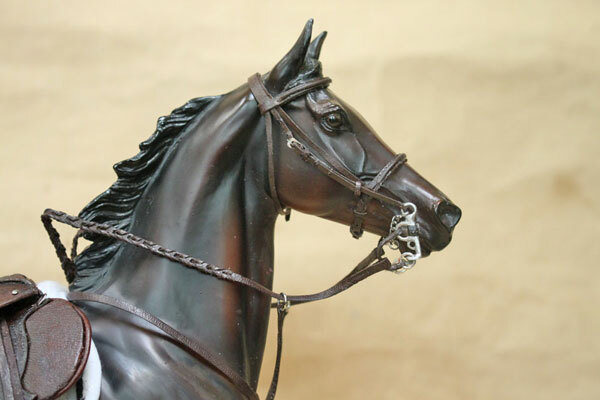 If you would rather have gold or brass colored hardware on your tack, please request so in the "Comments" field when placing your order. If your color preference is not currently available, I will notify you via e-mail. 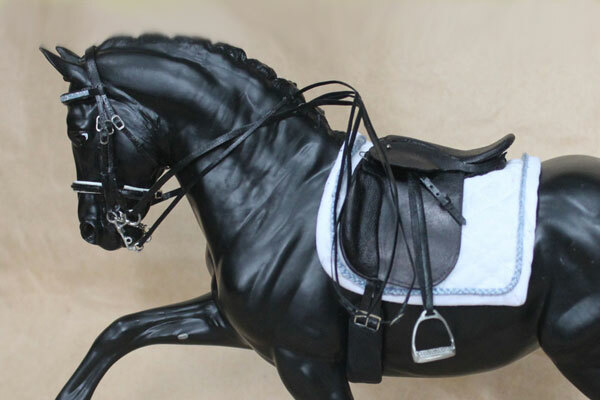 Don't forget to order your saddle pad and girth! 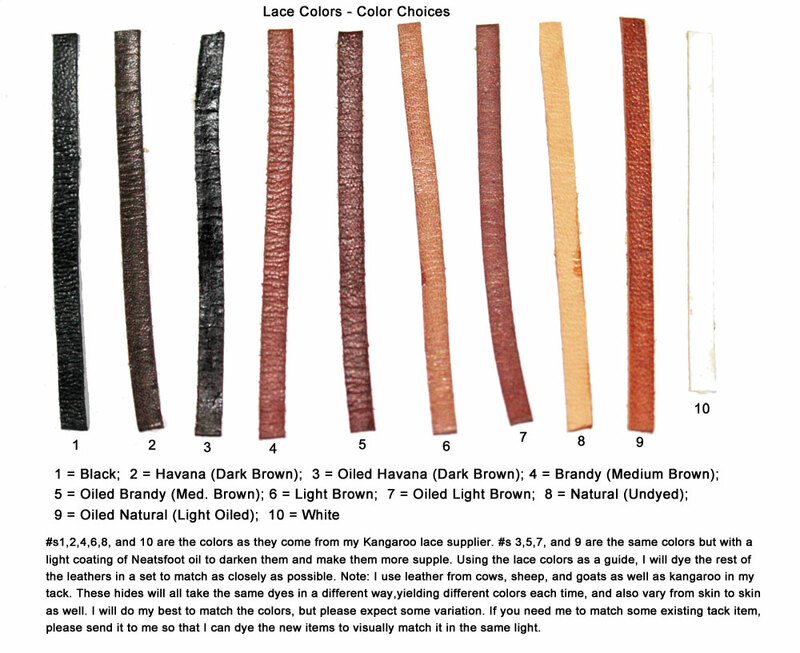 This chart shows currently available color choices based on pre-dyed kangaroo lace from my vendor. 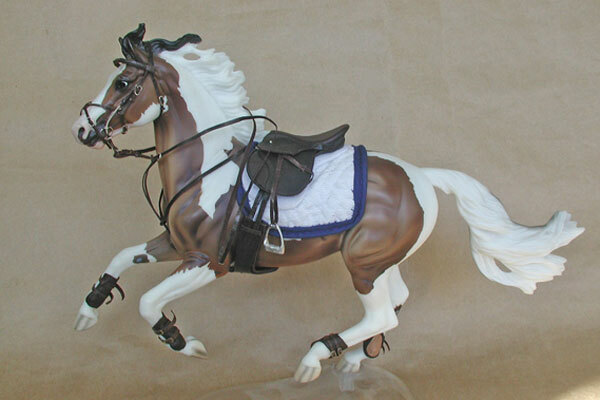 I will dye the saddle and other tack items to match this lace as closely as possible. All photos on this website are the © Lisa Merrill, Painted Daisy Studio, LLC 2008-2018.